I was a panelist on a discussion regarding the Midwifery response to disasters. The discussion covered various aspects, such as personal experiences, organisational participation and social media integration. I discussed what we already know about the Nursing response to disasters, and made inferences to where Midwifery is at in terms of this knowledge. In particular, I focused on the role, education and willingness of Nurses and Midwives. 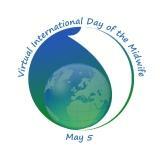 The conference: International Day of the Midwife "The world needs midwives today, more than ever" was a free online conference as part of the International Day of the Midwife 2011. The session titled How Can I Help? Improving Midwifery Responses to International Disasters was lead by Sarah Stewart.